Vietnam will be the first country in the world that is allowed to export star apple fruit to the US. The Animal and Plant Health Inspection Service under the US Department of Agriculture sent a document to the Ministry of Agriculture and Rural Development (MARD), on September 27, officially approving the import of the Vietnamese fruit, after a notice to the same effect was published by the US Federal Registrar in April. Star apple joins litchi, longan, rambutan and dragon fruit to enter the US from Vietnam, thanks to the country’s efforts over the last 10 years to meet plant quarantine standards. 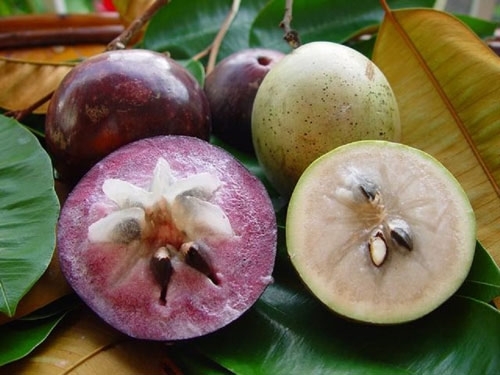 Star apple joins litchi, longan, rambutan and dragon fruit to enter the US from Vietnam. Hoang Trung, head of the MARD’s Plant Protection Department, said that, similar to other fruits which have been approved for export to the US, star apple must be planted in coded areas, treated with irradiation and checked for eight kinds of insects. After receiving the US notice, several Vietnamese businesses in the southern region registered for star apple exports, he said, noting that shipments may be conducted in 2017. Vietnam has about 5,000 ha of star apple fruit, mostly in the Mekong Delta, especially in Tien Giang and Can Tho, which yield approximately 60,000 tonnes annually. Vietnamese star apple has been exported to China and other ASEAN nations and Vietnam is also waiting for authorisation from the Republic of Korea to ship the fruit to their market./.